Car Insurance For Police Officers – Do You Have The Right Cover? As police officers you will all be aware that not only do drivers need car insurance, they need the correct Class of Use cover. 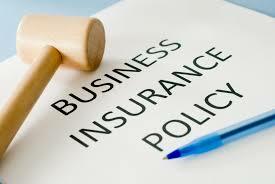 Insurance is something we all like to pay as little as possible for, and insurers are always happy to reduce the price if you reduce the level of cover or take higher excesses. Many also offer a discount if a car isn’t used for any business purposes. This has led to more and more members of the public buying Social Domestic and Pleasure, including commuting (S, D, P&C) Class of Use. We at Roland Smith Insurance are also seeing more and more police officers doing the same. We are concerned that this could cause problems for police officers around the country who could find themselves uninsured if they only have S, D, P&C cover. • If you are a Police Federation Rep travelling to meetings that you claim mileage for. In all of the above cases if your cover is on an S, D, P&C basis you may be uninsured. We know of officers who have got into problems because of this and all to save a few pounds on their insurance premium. Money may be tight but it could be even tighter if you have to pay for the repairs to your own car, pay a fine for driving uninsured, perhaps have to pay a third party for injury or damage you cause and also suffer any disciplinary action that may be taken. When you are looking to buy car insurance, you need to make sure you buy the cover you need, which would normally be Class 1 including use on official police business. It’s right to look for the cheapest premium but not at the cost of the right level of cover. There are hundreds of places to choose from when you buy car insurance and it is a very competitive marketplace, but as part of your shopping process give Roland Smith Limited a try. We at Roland Smith Insurance have been arranging insurance products to the police service for over 45 years. We currently arrange car insurance for over 37,000 serving and retired officers and home insurance for over 23,000. This makes us one of the UK’s leading insurance arrangers for the police service. We fully understand the nature of your job and how important it is to select the right Class of Use. You can call us on 0151 242 7640 or visit www.rolandsmith.co.uk. Roland Smith Insurance is a trading name of Roland Smith Limited, registered address: 1st Floor, India Buildings, Brunswick Street, Liverpool L2 0XH. Registered in England & Wales No. 01073408.Roland Smith Limited is authorised and regulated by the Financial Services Authority and is a wholly owned subsidiary of Police Mutual Assurance Society Limited. Calls are recorded and may be monitored.